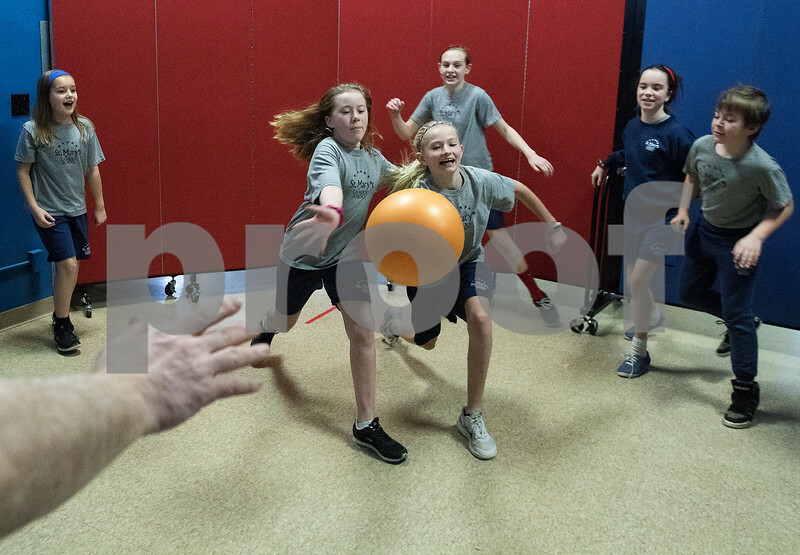 Fifth grade students Cara Fant, front left, and Lexi Carlsen chase after the ball during a game of ga-ga ball in their physical education class on Monday, Jan. 30, 2017 at St. Mary School in Sycamore. The Israeli dodgeball game translates from Hebrew as "touch-touch". This week is Catholic Schools Week, and local schools are celebrating with special activities and programs.